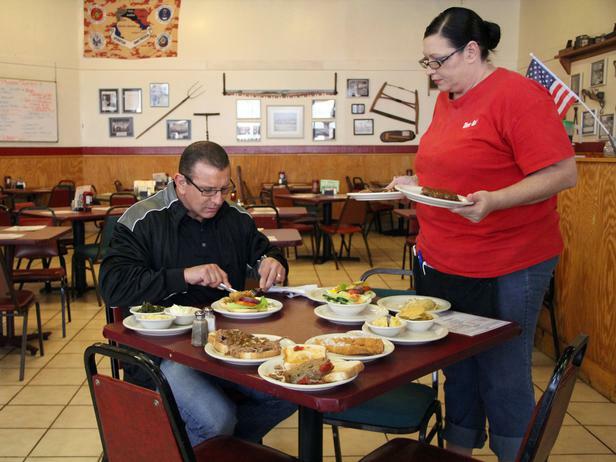 Chef Robert Irvine visits Dinner Bell in Madison, Tennessee, where he meets owner Tommy and finds a restaurant only days from closure. The decor is bland and none of the furniture matches, the staff break hygiene standards, the food is poor quality, stored incorrectly and frozen and the kitchen needs a deep clean. Tommy and Robert disagree quite passionately during this episode on a few occasions due to Tommy being in denial, mostly about how poor his food is. Robert gives the kitchen a deep clean and revamps both the dining room decor and the menu. A few months later, the kitchen remains clean and the staff are responsible for their own hygiene standards. They returned to their previous menu and previous prices as customers apparently weren't happy with the new prices, even though at the old prices there was very little profit. Tommy was also critical of the process to local media. They closed in April 2013 due to rising food costs and the local economy and reviews were mixed prior to closure. This episode was episode 9 of season 5 and was aired on February 27 2013, there were 13 episodes in the season, airing between November 2012 to March 2013 and the season 5 closure rate currently stands at 93%.